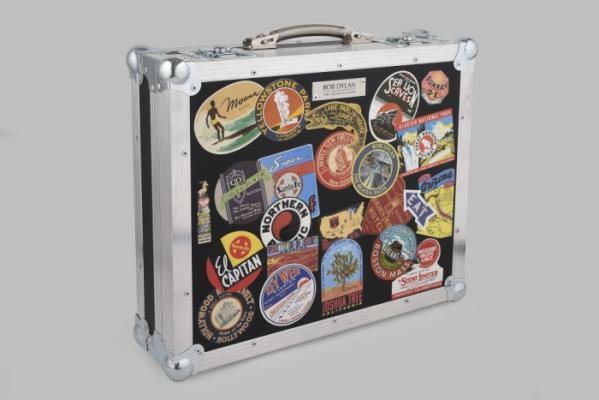 A few months ago the prestigious Halcyon Gallery in London approached us with the request to buy thousands of our Luggage Label with an American theme to decorate the case which was to house the limited edition book they were producing. 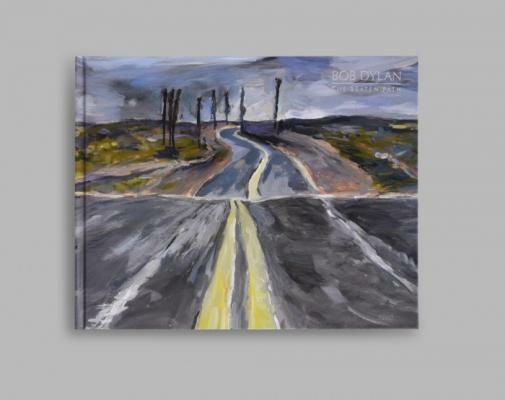 "Comprising a unique limited edition graphic of Endless Highway, signed by Bob Dylan, which has been produced by Halcyon Gallery in association with the artist to celebrate the launch of the exhibition Bob Dylan:The Beaten Path, a book and book stand. 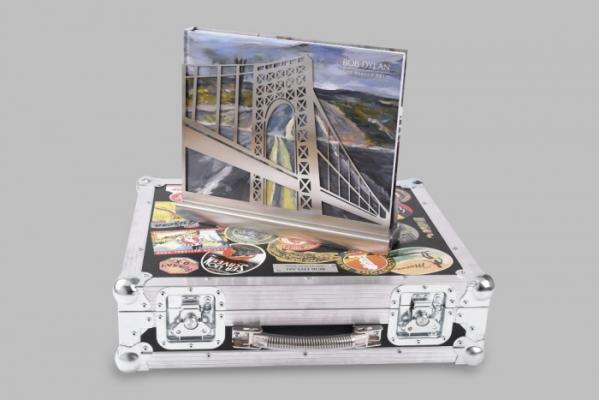 The bespoke hand-finished flight case is covered in a montage of stickers (different on both sides) that captures the spirit of travel in mid-twentieth century America, and includes stickers depicting Dylan’s Endless Highway (to tie-in with the book cover and print inside) on the front; Abandoned Railroad on the back." The case and the back of the book. The cover of the Limited Edition Bob Dylan book.